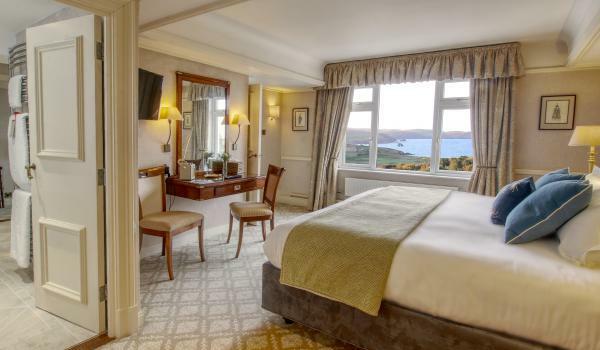 There is a delightful contrast between the rugged beauty of the South Hams and the comfort of our elegant rooms. Enjoy spacious, inviting interiors that combine modern facilities with more than a hint of old world charm. 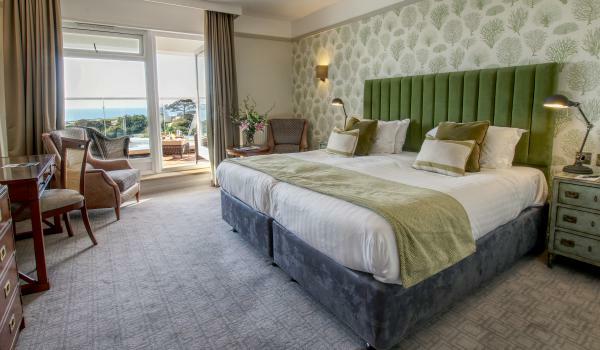 Each of our rooms is unique, providing the perfect holiday hideaway to relax and get the best from your stay in Thurlestone. Use this section to view our accommodation and make your booking. We also offer special suites and ideal family rooms, as well as selected dog friendly accommodation. Don’t forget, you will often get the best price by booking directly with us here, while our special offers section is always worth checking for current hotel deals and discounts too. Blending modern comfort and coastal charm, we have an excellent choice of stylish rooms. Enjoy character features and all the facilities you need for a relaxing break on the South Devon coast. For those seeking extra space, our suites provide added luxury to any seaside break. Relax with features including deluxe bathrooms and lounges, fabulous views and spacious, decadent bedrooms.